How do you spread the word about your products or services, attract new clients, and initiate the sales process? No matter how far technology and marketing has come, doing business is still about reaching a wider audience, building your brand, and closing the deal. But how we go about doing that effectively has changed dramatically with the advent of he Internet and social media. Research shows that consumers don't look for (or trust) traditional advertising any more, but want consistent informative content like blogs to help them make purchase decisions. 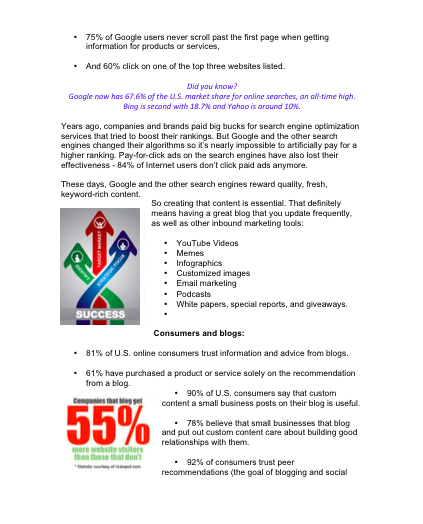 92% of consumers trust peer recommendations from blogs and social media? 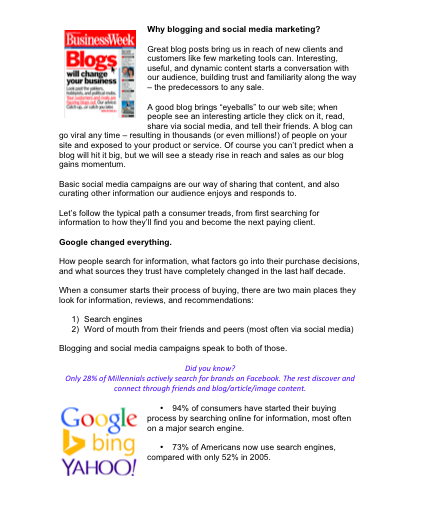 Companies that blog get 88% more inbound leads and 55% more visitors to their websites? A blog will expand your audience, build trust and familiarity, establish your expertise, and start interaction - all precursors to any sale. So if you're a sales person, business owner, or entrepreneur and you're NOT blogging, creating helpful content, or spreading the word via social media, you're in the minority. 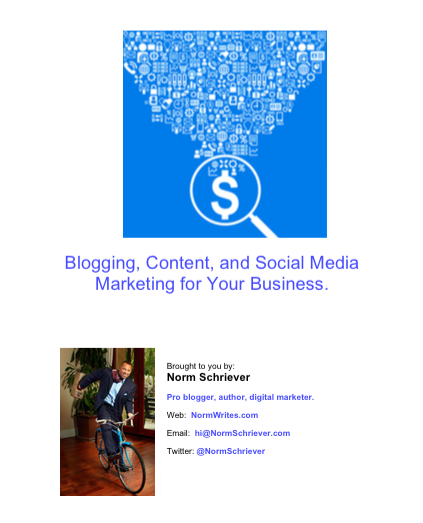 Get started with this free guide, Blogging, Content, and Social Media Marketing for your Business by professional blogger, best-selling author, and digital marketer, Norm Schriever. 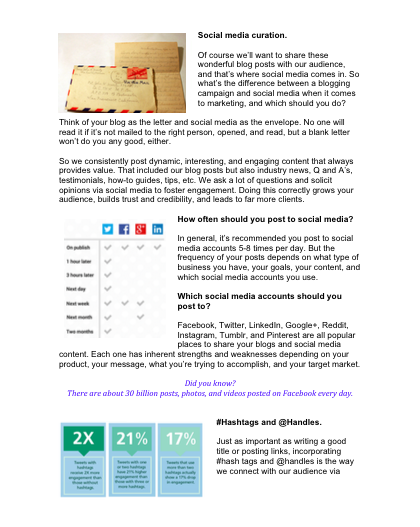 Social Media Marketing for Your Business."